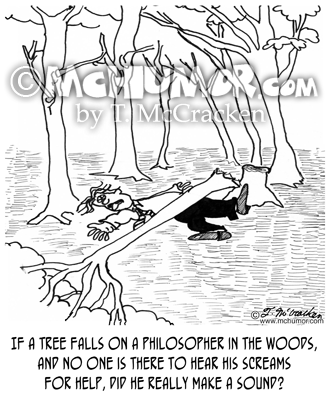 Forestry Cartoon 2476: "If a tree falls on a philosopher in the woods, and no one is there to hear his screams for help, did he really make a sound?" 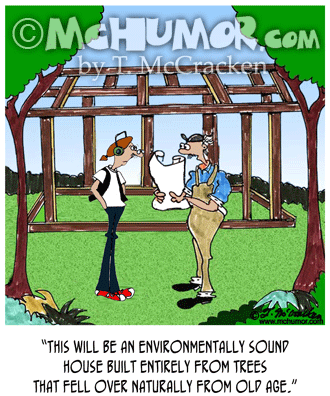 Environment Cartoon 6278: A carpenter building a house saying, "This will be an environmentally sound house built entirely from trees that fell over naturally from old age." 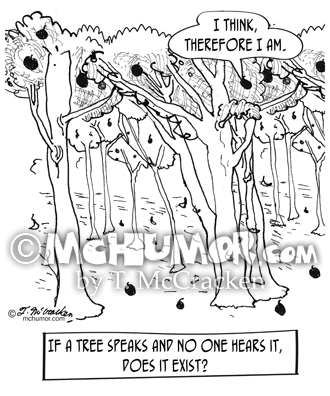 Bear Cartoon 3343: "Do bears @#$% in the woods?" 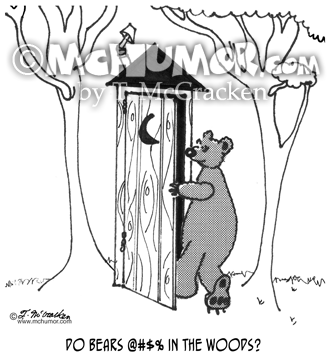 A bear goes into an outhouse. 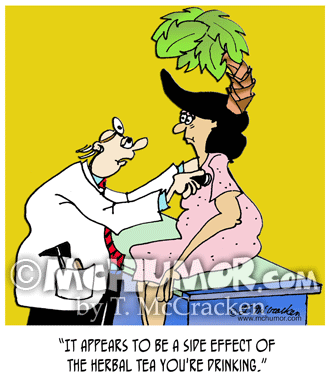 Drug Cartoon 9076: A doctor saying to a patient with a palm tree growing out of her head, "It appears to be a side effect of the herbal tea you're drinking." 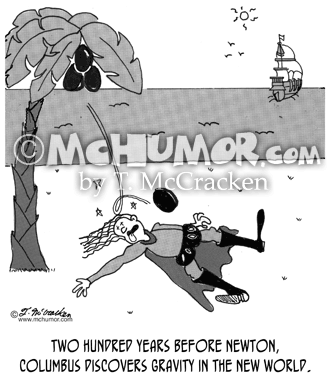 Physics Cartoon 5028: "Two hundred years before Newton, Columbus discovers gravity in the New World." 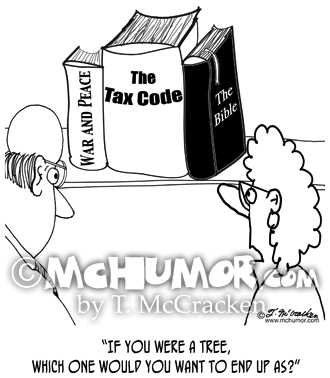 Columbus lies under a tree knocked out by a falling coconut. 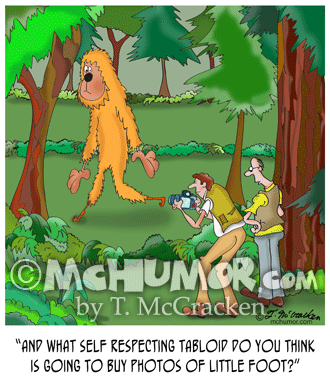 Bigfoot Cartoon 9298: As a photographer takes of a pictures of a huge hairy animal with tiny feet another says, "And what self respecting tabloid do you think is going to buy photos of Little Foot?" 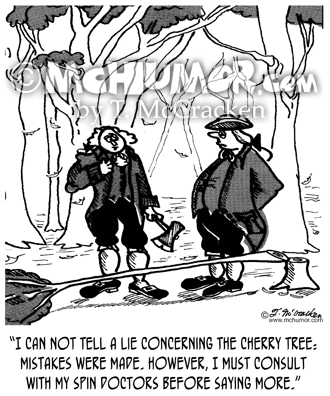 Washington Cartoon 8651: George Washington in front of a cut down tree says, "I can not tell a lie concerning the cherry tree: mistakes were made. 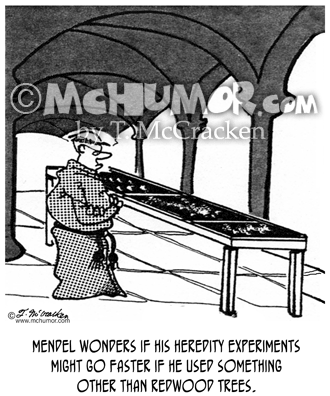 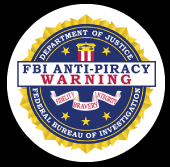 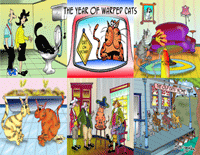 However, I must consult with my spin doctors before saying more."